If you’ve spent any time with parents of infants or toddlers, you know that their lives likely revolve around the napping and bedtime schedule of their child. During those early years of life, caregivers make their children’s sleep a priority. We have special nighttime routines to ensure that young kids are relaxed and ready for a restful night’s sleep. Some of us even celebrate as if we’ve just won the lottery when our kids finally sleep through the night. But as our children get older, getting a full night’s sleep just isn’t the priority it once was—for us or for them. Years pass, and before we know it, that small child is suddenly a teen. But that teen still has special sleep needs on top of a greater exposure to risk. On March 20, 2016, four teens were traveling home from a weekend trip at South Padre Island, Texas. At about 1:57 pm, the driver lost control of the car, crossed the center median, entered the opposing lanes of traffic, and collided with a truck-tractor semitrailer. The driver was seriously injured and her three friends died. NTSB investigators learned that, in the 24 hours before the crash, the driver had very little opportunity for sleep: only about 5 hours on the morning of the crash. The crash also happened at a time of day when most people commonly experience a dip in alertness and performance; in fact, the three passengers in the car were all either asleep or dozing at the time of the crash. The Board determined that that the driver’s loss of control was due to inattention resulting from her fatigue. Young drivers (ages 16 to 24) are at the greatest risk for being involved in a drowsy driving crash. Teens need 8 to 10 hours of sleep per night. A recent AAA Foundation study looking at drivers of all ages found that losing just 2 to 3 hours of sleep in one night can significantly elevate crash risk. Attention, reaction time, and decision-making can all be affected. For teens, getting 7 or fewer hours of sleep increases the likelihood that they will engage in high-risk behaviors, like not wearing a seat belt or drinking and driving. When my son was a teen driver, I made sure to talk to him about the dangers of underage drinking, driving distracted, and driving with his friends in the car. I reminded him often to wear his seatbelt—his best defense in the event of a crash. But I never talked to him about the dangers of drowsy driving. Like most high school students, he had a full schedule—early mornings for class, practice or games every day after school, homework and studying. And that didn’t include the time he spent with friends. Time for sleep was not high on his list of priorities. In our 24/7 culture, many parents also fail to make sleep a priority, but let’s take the time to teach our teens to prioritize it! 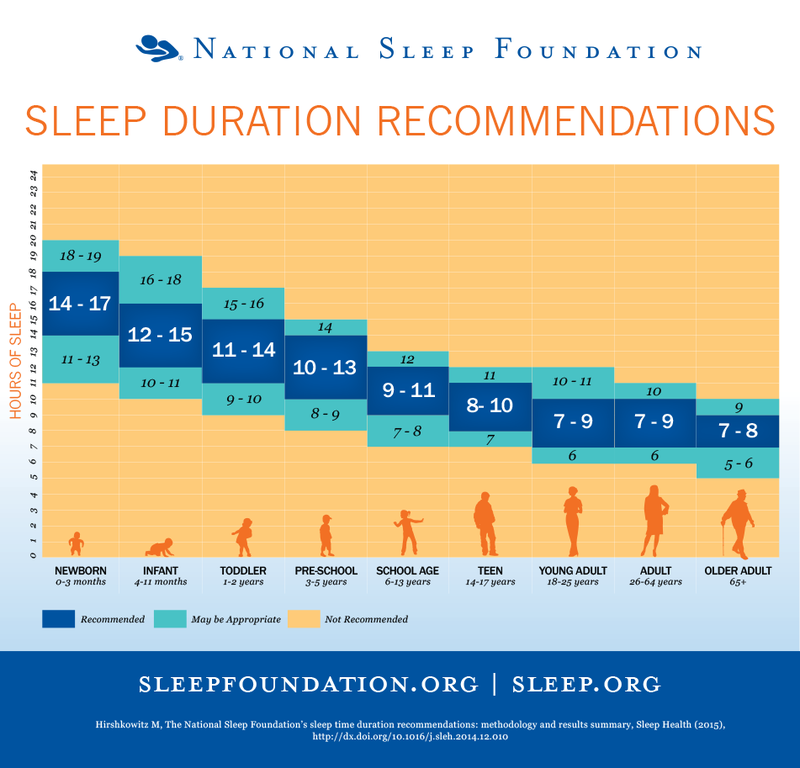 It’s important that teens get 8 to 10 hours of good-quality sleep; so, just like when they were little, help them create a good sleep environment, free from electronic devices. Talk with teens about planning for a safe ride to and from school and activities if they have a late night studying or an early-morning event to get to. As our teens inch closer and closer to adulthood, avoiding drowsy driving is one more life lesson we can instill in them so that they remain safe until they are out on their own—and beyond. There is no place for a fire on an airplane. And if there is a fire, it should not overwhelm fire-suppression equipment. Here is another no-brainer: lightweight, portable energy is necessary for our modern way of life. Smartphones, laptops, power tools, and even some vehicles depend on lithium batteries. The ubiquitous nature of these modern electronic devices has, in turn, increased the need to ship the batteries that power them. The same high-energy density that makes lithium batteries such a great way to store electricity can also introduce a fire hazard. A fault in the battery, such as a flaw in the manufacturing process, can cause a fire. Even if a fire starts elsewhere, a lithium battery makes for formidable fuel. When a fire spreads from cell to cell within a lithium-ion battery, it can burn at 1,100 degrees Fahrenheit. While international air regulations prohibit bulk shipment of lithium batteries on passenger airplanes, the NTSB investigated one cargo aircraft fire in the U.S., and we participated in two foreign-led accident investigations of cargo aircraft where lithium battery fires were suspected. In late 2010, UPS flight 006 crashed minutes after takeoff from Dubai, UAE. The crew reported an onboard fire but was unable to land their 747 before fire consumed the aircraft. Both crewmembers lost their lives, and the aircraft and cargo was destroyed. The investigation found that a large fire that developed in palletized cargo on the main deck caused the crash. This cargo consisted of consignments of mixed cargo that included a significant number of lithium-type batteries and other combustible materials. The fire escalated rapidly into a catastrophic uncontained fire. The hazardous smoke and fumes entered the cockpit and upper deck simultaneously, obscuring the crew’s view and creating a toxic environment. Ten months later, Asiana Airlines flight 991, a 747 cargo flight, crashed on its way from Incheon, South Korea, to Shanghai, China. The two pilots on board the aircraft died. The NTSB assisted Korea’s Aviation and Railway Accident Investigation Board (ARAIB) in investigating the crash. The ARAIB determined that a cargo fire that developed on or near two pallets containing dangerous goods (hazardous materials), including hybrid-electric vehicle lithium-ion batteries and flammable liquids, caused the crash. The ARAIB could not pinpoint the cause of the fire, but it determined that the flammable materials and lithium-ion batteries that were loaded together were a contributing factor. establish maximum loading density requirements for lithium batteries and for flammable liquids to allow such a fire to be effectively managed by onboard fire suppression capabilities. PHMSA develops, U.S. aviation cannot ignore this potential hazard. Thankfully, lithium battery failures are rare, and new research and meaningful efforts are underway to make them rarer still. On April 11 and 12, 2013, we conducted a public forum on lithium battery safety. Since then, the Federal Aviation Administration (FAA), in conjunction with the Commercial Aviation Safety Team, has established a joint government–industry working group. The group is developing ways to make lithium battery fires less likely in aviation and to reduce the consequences in case they do occur. We have issued several other lithium battery-related safety recommendations to the FAA and PHMSA encouraging them to share critical safety lessons learned, implement mitigations, and conduct research into safety improvements. Other NTSB recommendations about the certification and testing of lithium batteries aim to make such fires less likely. We continue to share our lithium battery investigation findings and advocate safety recommendations. We participate in the UL-initiated Battery Safety Council and attend industry outreach events and seminars, such as the NASA battery forum and seminars from the Knowledge Foundation. Lithium batteries are not going away; they are far too useful. 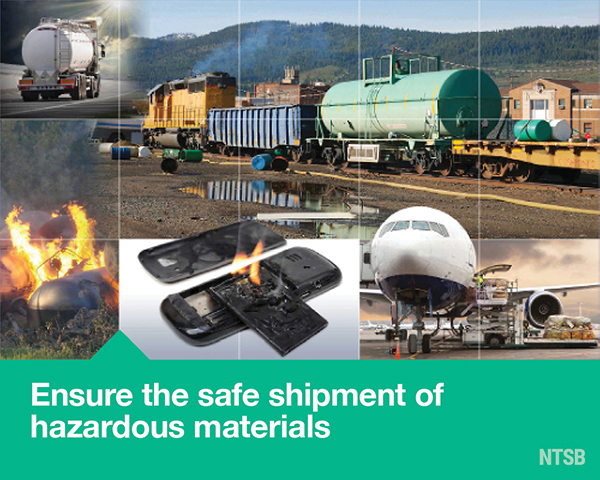 But we must ensure that each and every shipment of lithium batteries poses minimal safety risk. That is why our Most Wanted List calls on regulators and others to Ensure the Safe Shipment of Hazardous Materials, including lithium batteries in aviation.